RogerBlazic.com: Cleveland Indians Set Team Record For Wins In April. They Are For Real. Cleveland Indians Set Team Record For Wins In April. They Are For Real. Indians are scoring, but not quite yet with the fans. Something amazing happened in the month of April in Cleveland that has never happened before. The Cleveland Indians set a team record for wins in April, finishing the month at 18-8 - the best record in the American League and tied with the Philadelphia Phillies for the best record in baseball. They are for real. Cleveland fans harbor a lot of resentment toward their sports teams. Face the facts, we've been burned a lot and it takes something big for us to get off of our asses and give a crap. Indians fans were especially incensed last year when certain star players were not signed and we wound up with a bunch of kids bouncing off the bottom of the Central Division standings. At $40 million a year, the Indians have one of the lowest payrolls in baseball. Fans view that as "cheaping out". Well the boys in red, white and blue are making waves along the lakefront, and racking up some impressive numbers. Currently, the Cleveland Indians are either third or fourth in all of baseball for hits, RBI's, home runs, on base percentage, slugging percentage and team batting average. They lead the American league in on base percentage and team batting average. 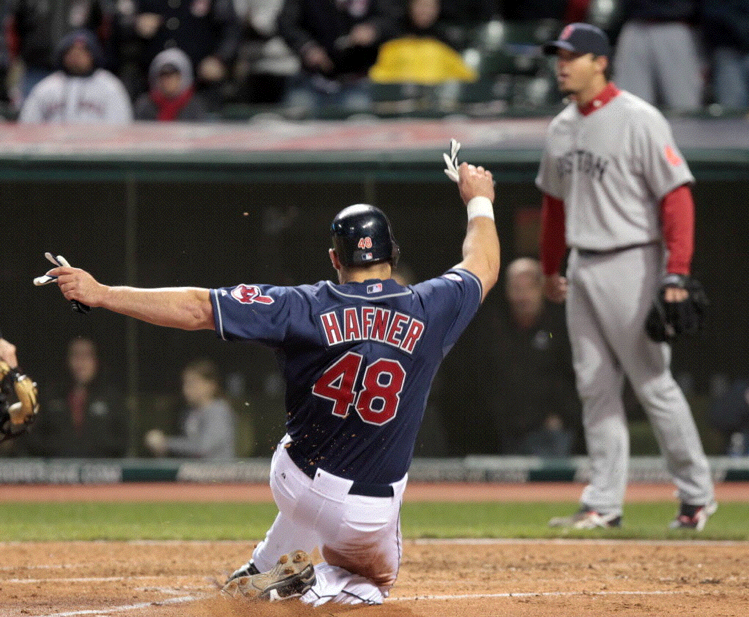 When the season opened on March 31, 2011, I wrote MLB Opening Day Today | Cleveland Indians Eliminated From Playoffs. This is somewhat of a standard joke in Cleveland. After the Chicago White Sox clobbered the Indians in the two opening games of the season, April 1 and April 2, by a combined total of 23-13, it looked like another dismal season in Cleveland. Then, something wild happened. They swept the Boston Red Sox, and sweeps started happening each week. The Indians were winning, but the fans were still not showing up. So far this season, the Indians rank near the bottom of baseball for attendance. Over 26,000 fans came out Saturday, April 30th to see the second walk-off game winning hit in two nights. That crowd was the largest since the 41,721 sellout on opening day. Crowds have been as low as 6,000, since opening day. It's time to wake-up Indians fans and baseball fans around the league. This team is for real. They are playing good baseball and adding some exciting drama to their games. They never give up, and that's what we want to see in our baseball team. Your 2011 Cleveland Indians are fighters, and that is why the Cleveland Indians set a team record for wins in April. They are for real. Cleveland Indians Have Best Record In MLB. I'm Stocking Up On Anti-Depressants.